Don’t forget ladies and gents, Tropico 5 is now available on the PS4 if you’d like to enjoy creating your very own dictatorship in a beautiful tropical setting. Tropico 5 released today on PS4, don’t forget your sunscreen. Releasing today on the PS4, Tropico 5 will provide you, the player, with the opportunity to forge your own dictatorship all the while drinking flavorful beverages at the beach. 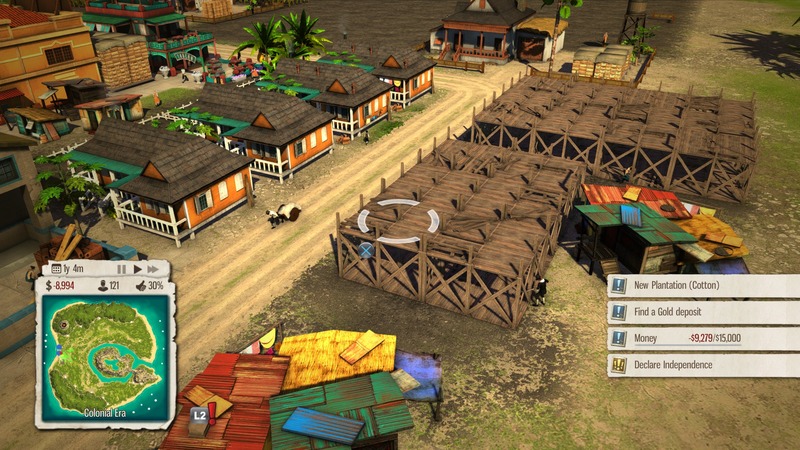 The PS4 release of Tropico 5 will be just as uniquely capable of controlling your citizen’s as the PC version. All the functionality should be there for you to enjoy. The console version of Tropico 5 features a reworked control scheme and UI that should take advantage of the DualShock 4 controller and its capacitive pad, letting you zoom around the map with ease despite not having a more traditional keyboard and mouse. Tropico 5’s release on the PS4 marks the return of the construction and management genre of games to the console. In fact, it marks the return of any type of top-down strategy type game. And so far it seems that it’s receiving a great reception due to the optimized controls and the fantastic gameplay. It’s a challenging yet rewarding game to play. It’s not easy being a dictator in today’s climate.